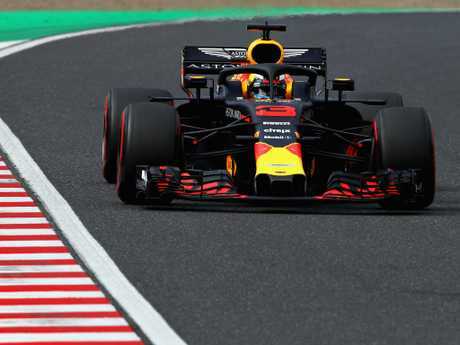 DANIEL Ricciardo admits his recent qualifying record against Max Verstappen is "bleak", with the Australian eager to rediscover the podium feeling at this week's Japanese Grand Prix. Ricciardo won two of 2018's opening six races but that has been followed by a run of 10 events without a podium - one race short of the longest drought of his Red Bull career. And although grid penalties and race retirements have hindered his season in recent months, Ricciardo has not out-qualifed teammate Verstappen in that time either. Asked about his qualifying troubles - he has started no higher than fifth since a pole in Monaco - Ricciardo conceded: "It's been pretty bleak. "I kind of feel maybe I made my own bed in Monaco because I was like, 'This is awesome and this happiness will carry me through the rest of the year.' So if there is someone controlling it all maybe they took that literally for me! "Last year I wasn't that happy with my qualifying and I thought the start of this year I was starting to improve some things. But I haven't really got everything out of it - or maybe Max is just getting a lot better, I don't know. Including Monaco, when Verstappen did not take part in qualifying after crashing in practice, Ricciardo has qualified as the lead Red Bull just three times in 17 races this year. Ricciardo admits he could have done more at certain races to try to extract more single-lap pace out of his Red Bull. 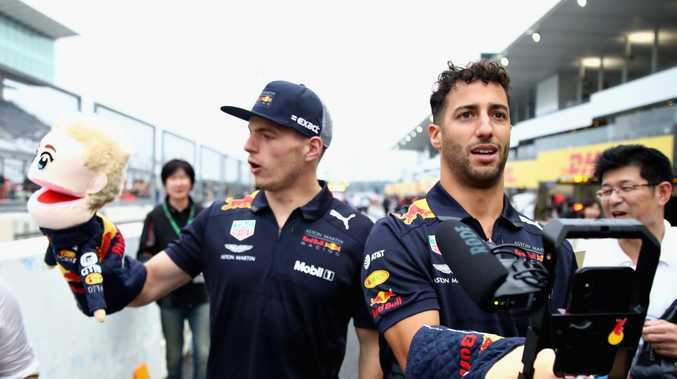 "Not taking anything away from Max, for sure he's fast and he's been driving well, it's not necessarily 'he has bigger balls in that corner,'" Ricciardo said when asked if he was learning anything from his teammate's data. "I feel in some qualifyings 'yeah, we should have done that' in terms of going up on the front wing six clicks rather than one or two. I'd like to be more proactive on some things with some more set-up. We understand it, but then it's too late. 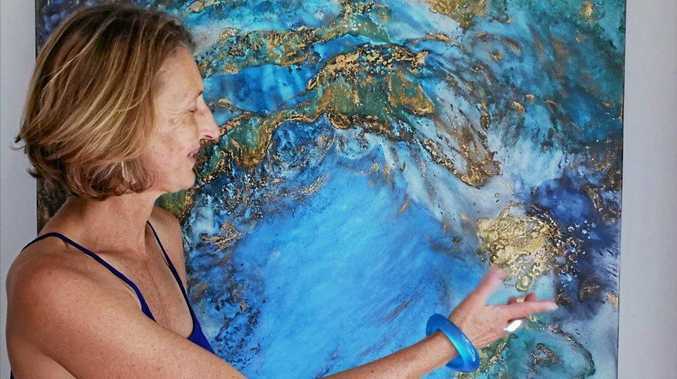 "But he's been getting more on top of it than I have." Verstappen's six podium finishes this year compare with Ricciardo's two, for wins in China and Monaco, and come ahead of the latter's winter switch to Renault, where he has already played down his hopes of front-running results in 2019. "I had two big results this year - and that's it. I haven't had any podiums," reflected Ricciardo. "Take away the wins and there have been no podiums, no seconds or thirds. Normally I don't like seconds or thirds, but I'll take it for sure now to get back on the podium and have a bit of champagne. "And when I say 'I'll take it', I don't mean I am going to concede to a podium, but it's been a long run without and I'd love one. "Coming up to next year (with Renault), we're realistic and know it's going to be pretty slim to get one - so at least give me one more! I've got to work for it, but I think we have a good chance." With his top-three drought stretching to five months, Ricciardo's reply was unsurprisingly when asked to state his target for this weekend's Japanese GP: "Podium, podium - that's what we're aiming for." But fresh from a surprisingly competitive showing from the back of the field at power-hungry Sochi, Red Bull are optimistic the downforce-demanding Suzuka layout will bring them in to play with off-colour Ferrari. "I don't know what's happening there at the moment - they're still obviously quick, they're just not showing their real pace that they've shown most of the season," Ricciardo said. "With that in mind, we could challenge Ferrari here. They could put it on pole, you don't know, but I hope that we are there."